194 pages | 2 B/W Illus. A central source of frustration for most adults with ADHD is that they know what they need to do but they have difficulties turning their intentions into actions. These difficulties also interfere with their ability to use self-help books and to get the most out of psychosocial treatments that provide coping strategies that promise to improve their functioning. Drs. Ramsay and Rostain are experts in the assessment and treatment of adult ADHD and are leaders in the development of effective psychosocial treatments for this group of patients. Their newest book, The Adult ADHD Tool Kit: Using CBT to Facilitate Coping Inside and Out is a coping guide for adults living with ADHD, one that does not just present useful coping strategies but also provides specific tactics designed to help readers implement these skills in their daily lives and brings them to life in a user-friendly format. The authors discuss many different settings in which ADHD may cause difficulties, including work, school, matters of physical health and well-being, and the issue of excessive use of technology. Although written for consumers, clinicians will find the book to be a clinically useful tool for their adult patients with ADHD, serving as a companion to the newly updated and expanded second edition of Drs. Ramsay and Rostain’s professional treatment manual, Cognitive-Behavioral Therapy for Adult ADHD: An Integrative Psychosocial and Medical Approach. "In over 35 years of treating adults with ADHD, I have never come across a better resource than Ramsay and Rostain’s The Adult ADHD Tool Kit. After an excellent presentation of foundational processes such as planning, time management, procrastination, motivation, organization, and challenging distorted beliefs, they creatively apply these techniques to coping in college, the workplace, relationships, and health. They also address the excessive use of technology and the role of medication for treating adult ADHD. Adults with ADHD and the professionals treating them will benefit greatly from Drs. Ramsay and Rostain’s wisdom. Don’t leave home without this tool kit." —Arthur L. Robin, PhD, is the director of psychology training at Children’s Hospital of Michigan in Detroit. "This book is the real deal. Ramsay and Rostain are clinicians and researchers and bring the best of each to the often confusing and frustrating challenges of ADHD. They offer strategies that aren’t just nice ideas—they really work." —Ari Tuckman, PsyD, MBA, author of Understand Your Brain, Get More Done; More Attention, Less Deficit; and Integrative Treatment for Adult ADHD. "This toolkit holds the tools for facing the challenges of adult ADHD and contains wisdom of true pioneers of ADHD treatment. The ideas and techniques in this book can transform an overwhelming life to one of hope and confidence." —Craig Surman, MD, is an assistant professor of psychiatry at Harvard Medical School and the coauthor of Fast Minds: How to Thrive If You Have ADHD (Or Think You Might). "Drs. 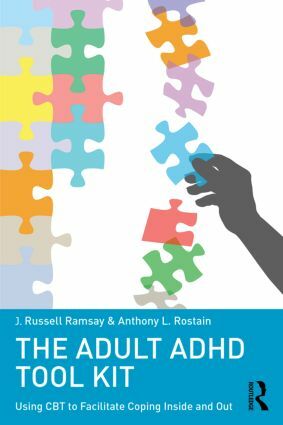 Ramsay and Rostain take the reader on an insightful and comprehensive journey through overcoming some of the major pitfalls associated with adult ADHD (including time management, organization, and self-care). Readers will find themselves engaged and entertained by the authors' use of metaphor and examples from pop culture, which also helps to solidify ideas for later recall. The book is chock full of quick and simple takeaways, reminding readers of the most important tactics from each section." —Abigail Levrini, PhD, is the clinical director at Psych Ed Coaches and author of Succeeding with Adult ADHD: Daily Strategies to Help You Achieve Your Goals and Manage Your Life. Why not download our Routledge FreeBook Exercises, Tips and Strategies for Self-Improvement? This resource contains a chapter from The Adult ADHD Tool Kit, along with a wealth of other information to help you make positive changes in your life.